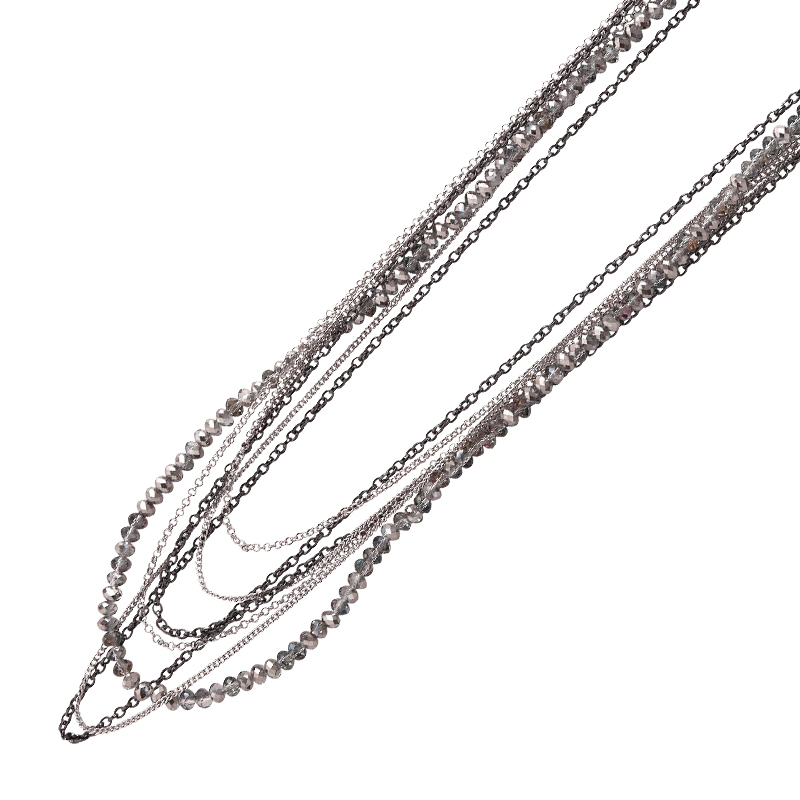 Matte black chain fashions a long, lariat-style necklace. 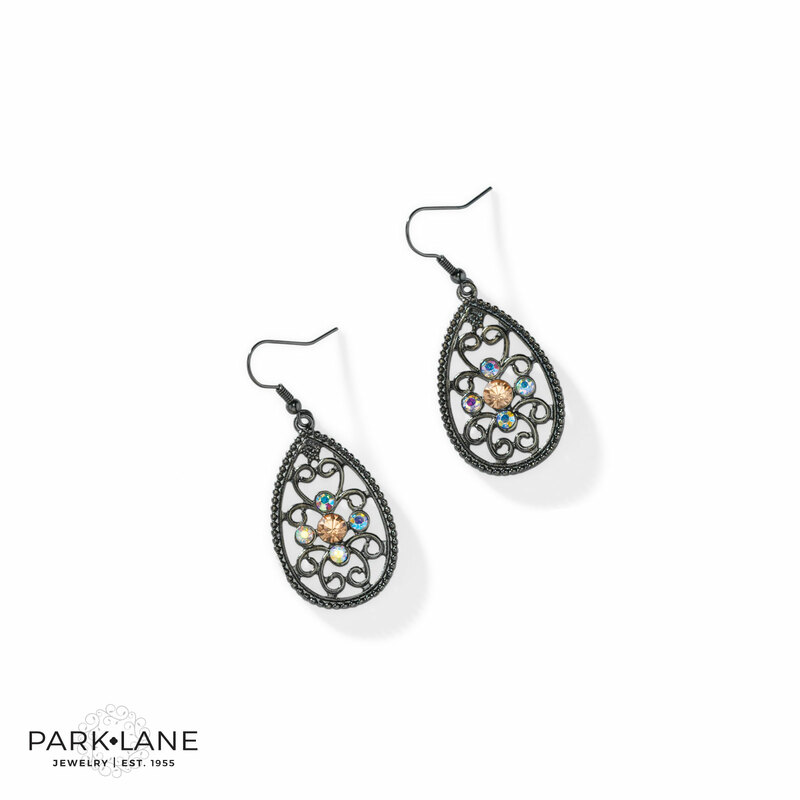 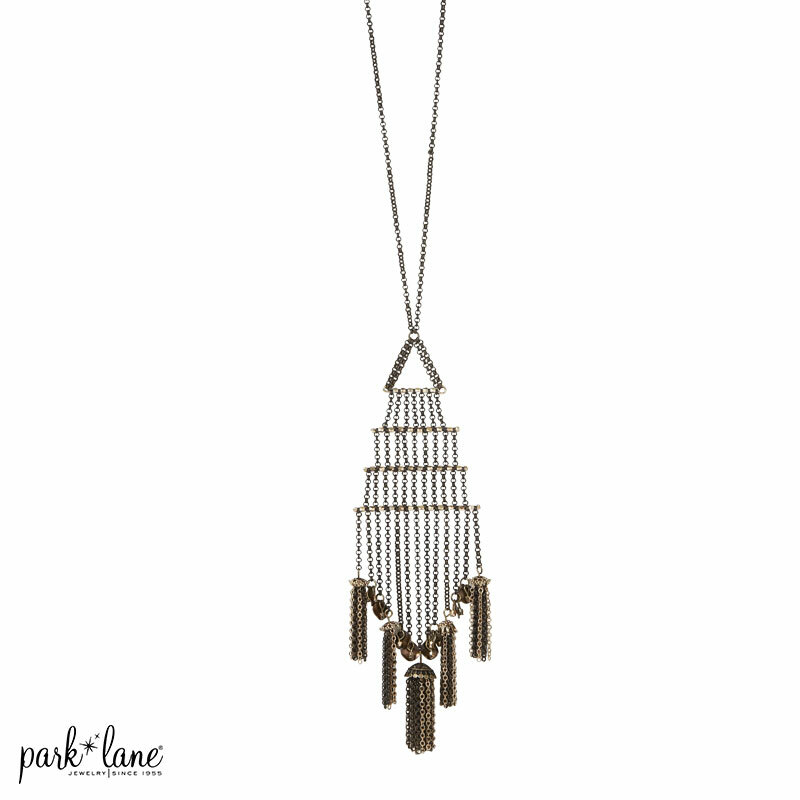 The deco-inspired pendant of black chain and gold bars is adorned by charms and chain fringe. 30” long.